Before we get into detail, let’s be clear that riding the Mi Electric Scooter is heaps of fun. As I glided through the streets of Wellington and weaved along the waterfront, I felt like a visitor from the future, wondering why everyone still walks, crowds on to buses, rides those uncomfortable-looking bicycles, or sits stationary in their cars. If my experience is an indicator, it won’t be long before electric scooters like this one become the norm. Until then, be prepared to attract attention. It’s likely your scooter-riding experience is limited or non-existent. Don’t be worried – you’ll only need a short ride on the Mi to become comfortable. Personal transport for big kids visiting from the future. Price: $699. The handlebars are high and wide, and it has a big footplate to stand on. To start, fold the parking stand, kick yourself along and press the thumb-lever. The motor kicks in from 5km/h. The scooter gradually builds speed, even with the lever fully depressed. Release the lever and the motor acts as a regenerative brake to slow you down, which results in a super-smooth ride. There’s a brake on the rear wheel too – operated from the handlebar. That’s all the controls. Once moving, handling is reassuringly predictable when taking corners or weaving around obstacles. However, like any scooter or bike, it’s more stable with a bit of speed – making tight low-speed turns can be a little wobbly (it’s easy to forget you can put a foot down to balance). At 8.5" the wheels are big compared to kids’ scooters, but small compared to a bike, so getting over bumps was a bit nerve-wracking at first – I worried about flying over the handlebars. But I discovered the Mi wasn’t fazed by lowered kerbs at road crossings, speed bumps or rough surfaces and I quickly got used to slowing down and shifting my weight to the rear before hitting a bump. The tyres are air-filled, so the ride isn’t totally jarring. Don’t try riding up a full-height kerb though! I got the Mi zipping along on the flat up to its claimed limit of 25km/h, but its 250W motor wasn’t powerful enough to break any hill-climbing records. It slowed to jogging pace on the ramp to the Westpac Stadium concourse and ground to a halt on the steeper Hill St with my 85kg frame (it has a 100kg weight limit). Going downhill, the regenerative motor kept speed in check, but on steeper descents the hand brake was needed. Mi says the scooter manages “up to 30km on a single charge”. In practice, with headwinds, hills and stop-start operation, you’ll get less than that. But 30km on a scooter is a long way. Charging from empty takes five hours – the charge port is awkwardly located under the side of the kick plate and sealed with a rubber bung that’s frustratingly tricky to push into place. The appeal of an electric scooter is the convenience for short trips, when you may be combining different transport methods. The Mi scooter folds in a few seconds – release a lever to fold the handlebars down and the built-in bell clips to the rear mudguard. It weighs just over 12kg and, when folded, is easy to carry with one hand. 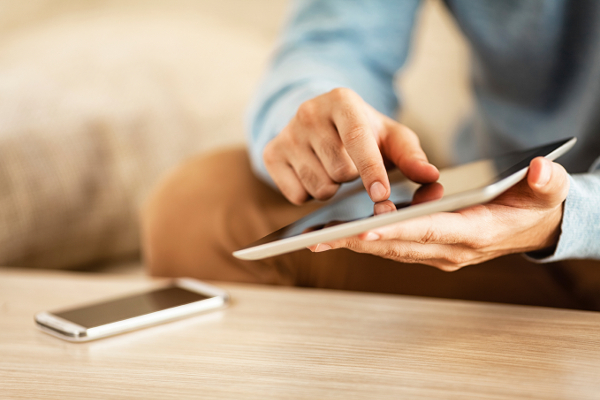 That means you can take it on trains and buses (or stow it in your car boot), carry it into meetings, shops and bars, or store it under your desk at work. For times when you don’t want to take it with you, a D-lock fits neatly around the front wheel so you can leave it secured to a bike rack. 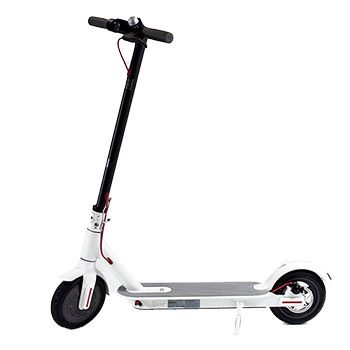 The scooter is IP54 rated, which isn’t great for something intended to be a daily ride – it only offers limited protection against dust and splashes of water from any direction. Mi says the scooter shouldn’t be ridden through puddles more than 2cm deep. We’ll be thrashing this scooter over the summer, through rain and shine, to see how it holds up. Being from the future, electric scooters are way ahead of today’s transport regulations. It isn’t a bicycle, so you don’t need to wear a helmet (but you should). They can be ridden anywhere, including roads, pavements and shared pedestrian/cycle paths, but not on designated cycle lanes that are part of the road. Regulations say those are for bicycles only, and your scooter-from-the-future isn’t a bicycle. It makes no sense – you can ride the scooter on the road next to the cycle lane, but not in the cycle lane. For more on the rules around riding e-scooters and other low-powered vehicles, see NZTA's website. Our Mi Scooter has turned four months old and unfortunately, it’s dead (unfortunately because everyone who rode it loved it, it’s been in high demand over the summer). The scooter developed an intermittent electric fault – power would cut out, leaving the rider stranded with just foot power to kick home. Plugging the charger in fixed it for a while, but eventually our Mi completely died. In those four months, the handlebar developed a significant wobble. Slop in the folding mechanism meant the bars moved about 20mm forwards and backwards, making riding the Mi a nerve-racking experience. No amount of adjustment could tighten it, and the engineers among us reckoned it was a design fault – there’s no way to account for wear, and a slight wobble at the hinge results in a large movement at the bars. But long live the Mi scooter! To Mi’s credit, it immediately replaced our scooter. Consumer NZ staff are once more sharing the Wellington streets nicely with others. I hope our old scooter is repaired, reused or recycled instead of becoming landfill (we’ve asked Mi what it does with returns), and that our new scooter remains in use for many more summers – four months is nowhere near good enough. 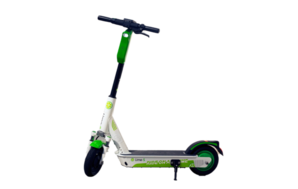 Lime scooters are similar to the Mi Electric Scooter, but their handlebars are higher and the whole scooter feels bulkier. They have a similar stable feeling when turning and weaving around, and the wheels are about the same size as the Mi, so they cope admirably with bumps. The thumb-lever is identical and accelerates gently. There’s no noticeable regenerative braking though, so you rely on the handbrake on the rear wheel to slow down. The scooters I tried in Auckland were well-used – battered and bruised – and the braking wasn’t brilliant.